Customer experience (sometimes abbreviated CX) refers to the interactions between a customer and an organization throughout all points of contact. A good customer experience is strongly correlated with customer loyalty and company revenue growth. Happy customers come back for more. A study published in the Harvard Business Review found that customers who gave their experiences the highest ratings spent 140% more than customers who gave their experiences the lowest ratings. For subscription-based companies, the study predicted that customers with the best experiences were likely to maintain their memberships for another six years, compared to the customers with the worst experiences, who would likely cancel their memberships within 18 months. 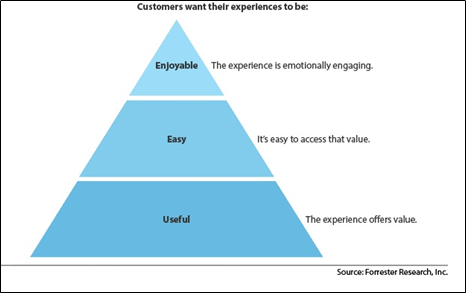 So, what creates a positive customer experience? Your business communications are an important part of the equation, making a strong impression that has lasting effects. Twilio’s Customer Communications Report found that after a poor communication experience, 38% of customers will switch to a competitor or cancel orders or services, 66% will tell a friend about their experience, and 41% will stop doing business with a company altogether. Every customer interaction forms an instant impression and contributes to an overall opinion that lasts over time. To create a consistent positive customer experience, interactions across all channels and touchpoints must be useful, usable, and enjoyable. Customer satisfaction score (CSAT) —the percentage of customers who are satisfied with the service they receive. Customer effort score —a customer’s perception of how easy it was to get their issue resolved. Net promoter score (NPS) —a customer’s willingness to recommend a company to others. Customer engagement score—a custom metric for each business. May include customer contact frequency and contact types, customer inquiries, social media activities, website activities, user community participation, rate of repeat transactions, new products or services purchased, and channel utilization. Customer churn rate—the percentage of customers who don’t come back to do business with the company again. How effective are you at delivering a positive customer experience? You may not be as effective as you think. In fact, 70% of businesses think they’re effectively communicating with their customers, but only 2 out of 10 customers agree. The best way to gauge your success is to ask your customers. The key to creating the customer experience you want is having the right technology in place to support your customers at every point along their journey with your business. Since 2008, Twilio has been helping companies become digital disrupters in the area of customer experience with APIs for customer communications. Use intelligent routing to prioritize tasks from all sources and send them to the right agent for a tailored experience for each caller. Take post-call surveys over voice or SMS to improve your customer satisfaction (CSAT) scores. Utilize analytics to create a single set of reports that you can act on, with information from all your channels. With voice call recording, gain a deeper understanding of your customers through sentiment analysis and keyword spotting. Connect with customers in new ways on channels such as WhatsApp, Alexa, and Facebook Messenger. APIs offer flexibility and are fast to deploy. Millions of web developers use these customizable solutions to create experiences that consistently exceed customer expectations. The choice to use APIs isn’t just a technical decision, it’s also a business decision to prioritize agile development, A/B testing, quick iterations of software cycles, and integrating feedback from contact center agents into communication improvements. To provide an ongoing positive customer experience, you need to gather customer feedback, look at the metrics that make sense for your company, roll back the things that didn't work, and keep the things that did work. To find out more, check out the Twilio Engagement Cloud, a suite of communications software to build, edit, and deliver new customer experiences in record time.